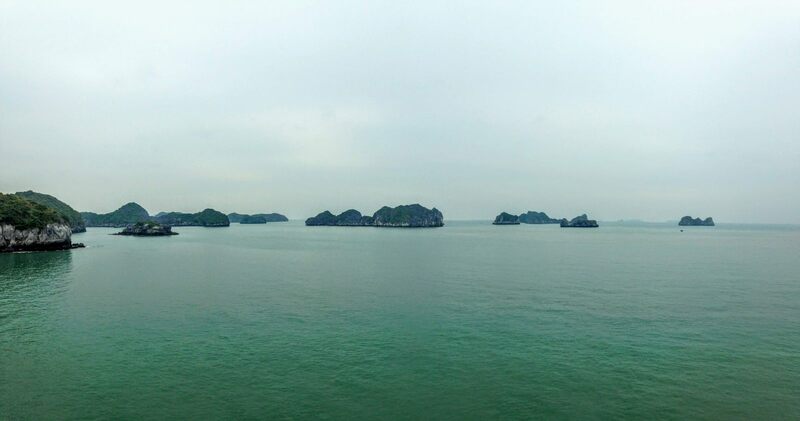 If you travel in Vietnam, you can’t miss the incredible Halong Bay. 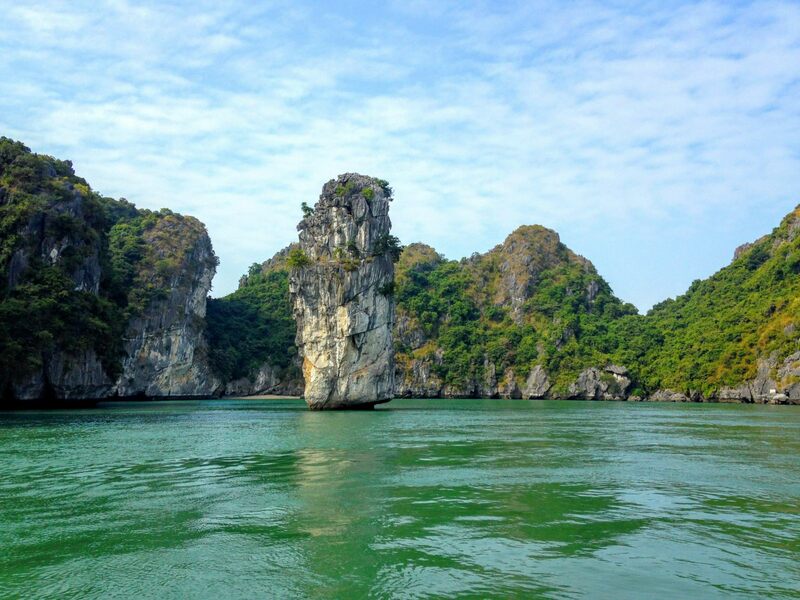 The best way to discover these impressive rocks floating above the sea is by boat of course. 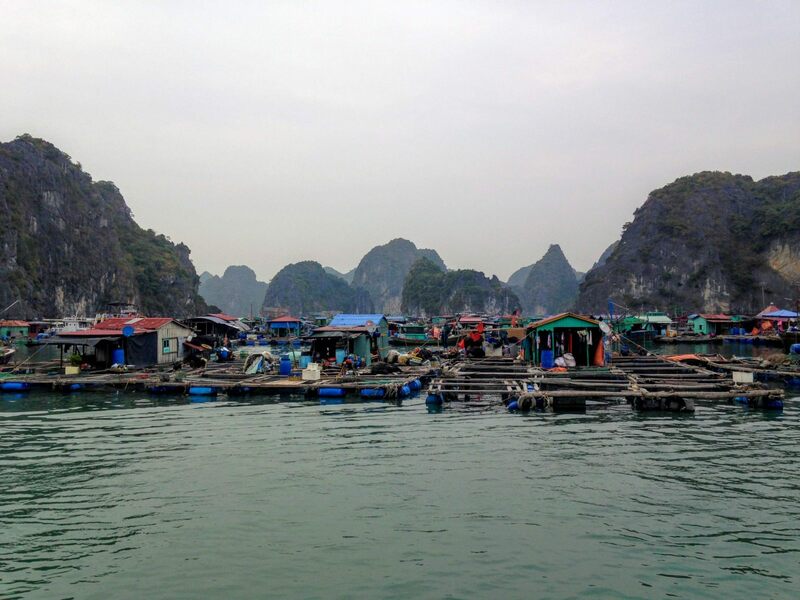 Most of the companies offer the same package from Hanoi at a very expensive price which might discourage you. But don’t worry Hibiscus & Nomada found the perfect alternative for you! 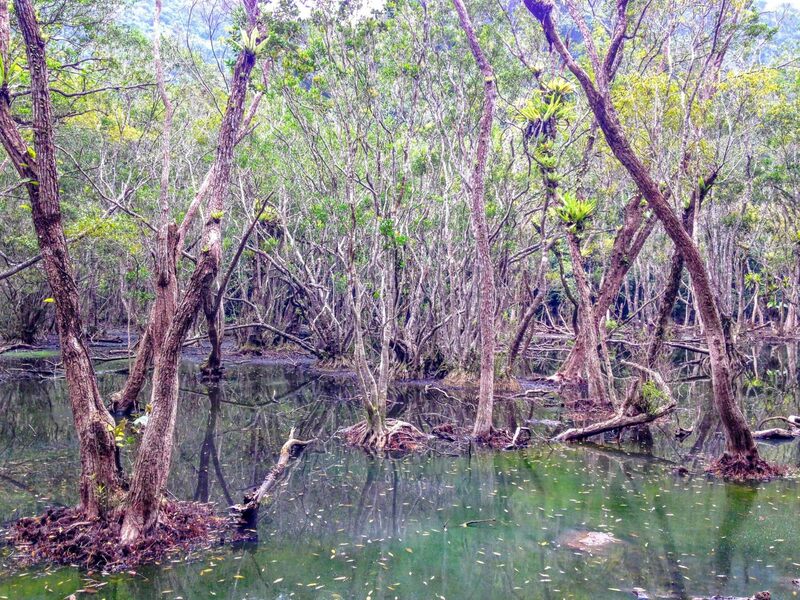 The island of Cat Ba is just 3 hours from Hanoi and still preserved from mass tourism. You can stay there for a few days to enjoy the amazing view of the bay, book a day tour on a boat, but also walk around the island. 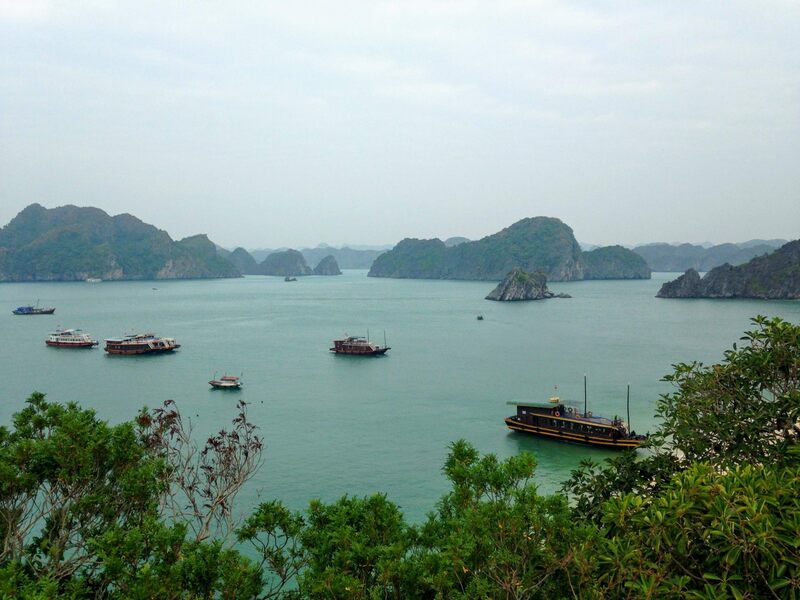 Every hotel on the island offers boat trip in Halong Bay. During the day you will visit Monkey Island which is a tiny island full of monkeys as it name suggests. Don’t try to touch them because they are quite aggressive!!! 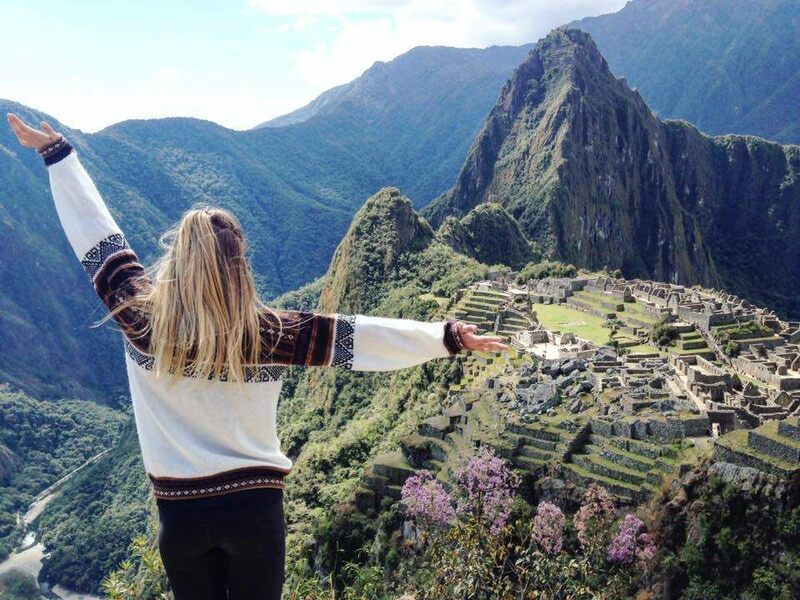 The main interest is to climb the hill over the rocks, the view of the bay is absolutely stunning. The boat will take you afterwards around the bay, just take a seat and enjoy the scenery. A lunch is served on board and the rest of the day is dedicated to kayaking, swimming, jumping from the top of the boat and chilling along the bay beach. We booked the tour through Le Pont Hostel but prices are quite similar in every agency 340 000 VND (15$) per day/per person. Entrance fee is between 40 000 VND (1.75$) and 80 000 VND (3.40$) depending on the trail you want to follow. You can do this one on your own! You can either rent a scooter for 80 000 VND (3.40$) to reach the entrance of the park or go by bus early in the morning. If you miss it, don’t worry, you can still share a taxi. The national park has a viewpoint of the island and different trails that will lead you to hills and ponds. I recommend you do the 13km trail that will lead you to the one and only village of the park. At the end of the hike, you can take a boat back to Cat Ba village for 100 000 VND (4.40$). You won’t find the Cannon Fort on any Travel Guide even though it’s a must-see! It was the defence spot of Vietnamese soldiers during the American war. Following the path, you will find traces of bombs, old grenades and cannons. But it’s not only a historical reminder, indeed, it’s the best viewpoint of the bay! So now you have no excuse to miss it! Entrance fee is 40 000 VND (1.75$). Cannon Fort is just 15 minutes walking from the main street. Once you are in front of the harbour, walk in the direction of the perpendicular street, then take the only road that climbs and then turn right. If the weather is good, you should take your time to relax at the beach. Cat Ba has only three small sand beaches but they have a very nice view of the bay. 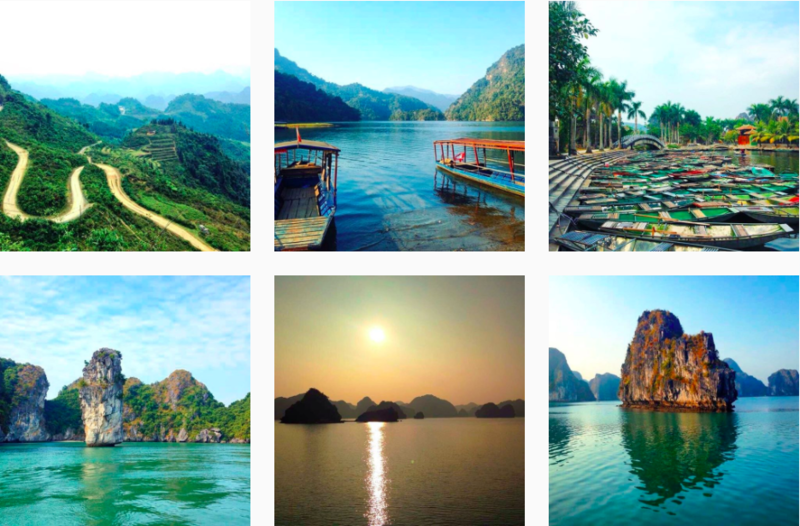 From Hanoi, you can book a combined ticket (bus and boat) at most of the travel agencies. Don't try to go by your own means, you might end up paying more in the end. What you can do is bargain your combined ticket. The average price is between 200 000 VND (8.80$) and 230 000 VND (10$). Le Pont Bungalow Hostel is not really on the main street but you won’t regret it! The view is the best of the island, and it’s only 110 000 VND (5$) per night in a dorm with breakfast included. They also have private bungalows. Everything is super clean and the staff very friendly. You can book tours, scooters, and buses directly from there. But the best is without any doubt the breakfast! You have a buffet of bread, butter, jam, eggs, fruits, tea and coffee, vegetables, and the must PANCAKE with chocolate, honey, pineapple or mango. TASTY! Staying in Cat Ba Island is the occasion to eat as much seafood as you can. Bamboo Café is a great place to have a sweet break, pancakes are incredible! They also serve very good fish and seafood! You should try the clams with garlic and butter. Prices are around 80 000 VND (3.40$) and 130 000 VND (5.70$). If you want a vegan option, go to Buddha Belly , they have cheap options of menu with fresh veggies and soup! Prices are around 30 000 VND (1.30$) and 100 000 VND (4.40$). Tag your Travel pictures with #Hibiscusandnomada when you spot hidden gems!